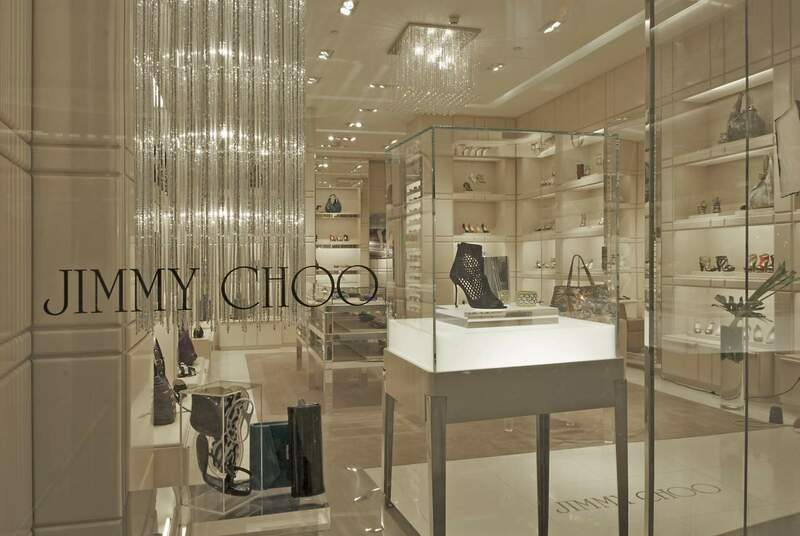 This flagship boutique is located in the luxury 'Village' area of the Westfield London mall. 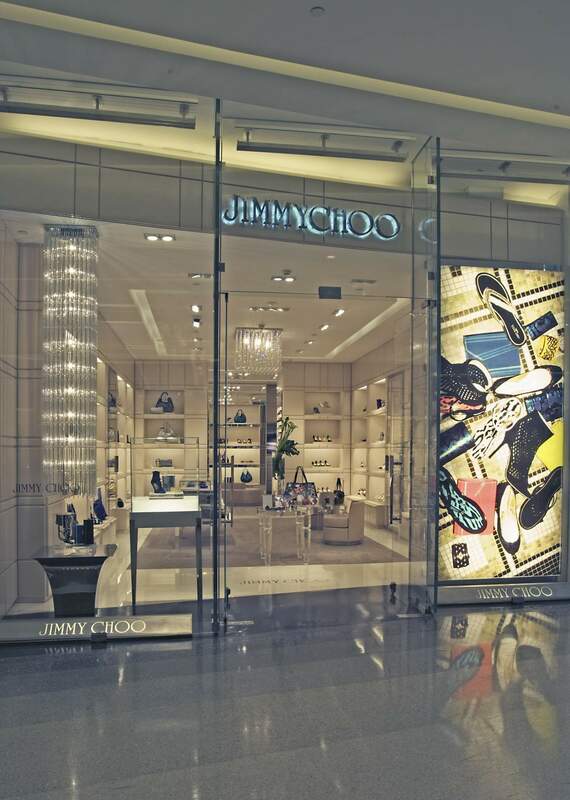 As this store is close to Jimmy Choo's London head office, it was important that this boutique had the definitive 'Jimmy Choo look' as it would be seen as an example to clients and staff alike. 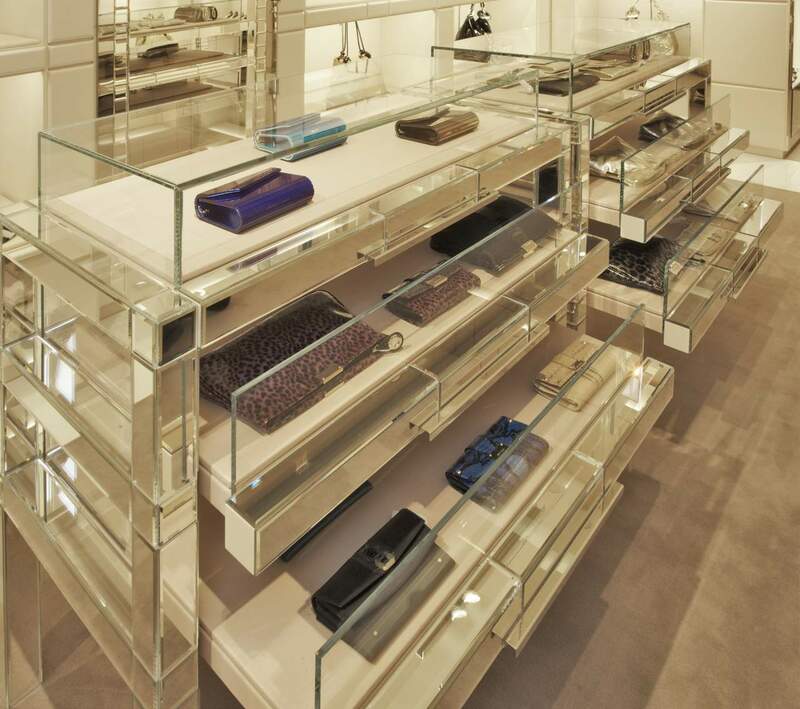 The boutique was arranged as two salons on a central axis with a mirrored wall to the rear and the cash desk located off the shop floor. 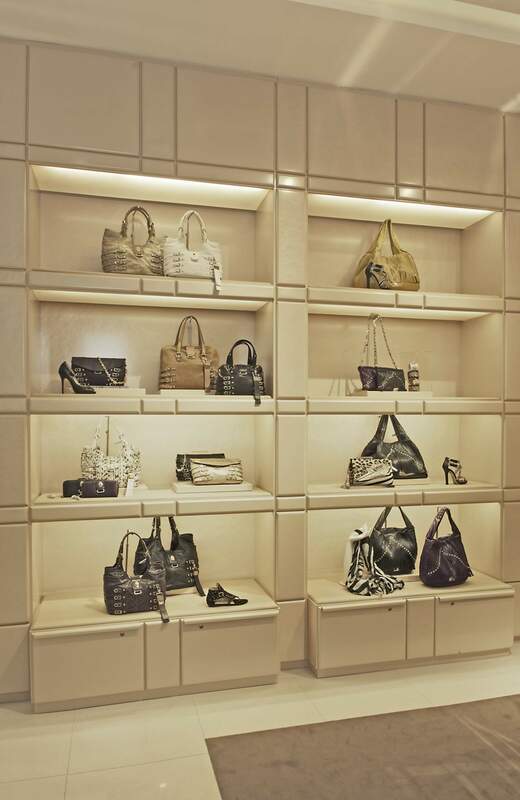 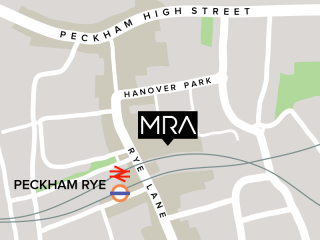 MRA offered a full Turnkey service for this project, from design to construction.